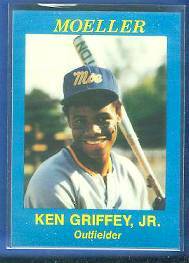 ↑ This is Griffey's 2nd year card and first card of his own as he shared his 1974 rookie card with 3 other players. 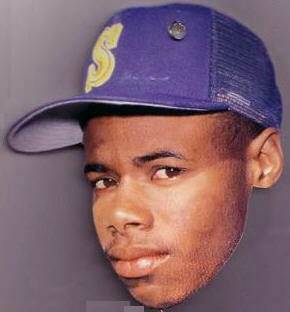 ↑ This is Ken Griffey Jrs. dad ! 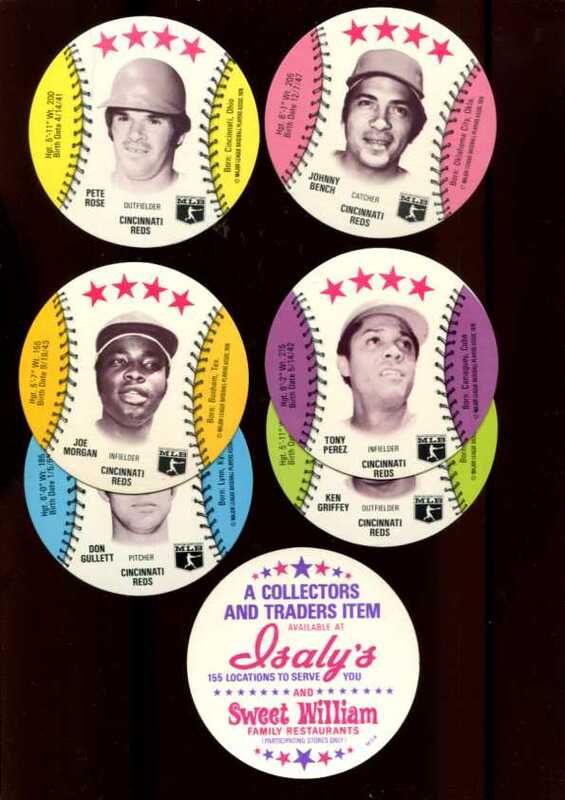 ↑ Replicas of 1969 pins,these SAY '@1969 MLBPA...USA.' 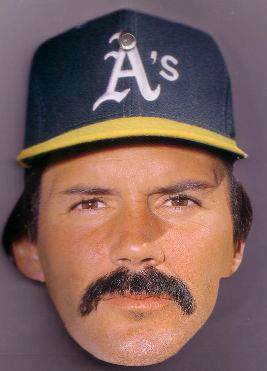 but were NOT from 1969 & NOT licensed! 1969 pins said 'WINONA, MN' on back. 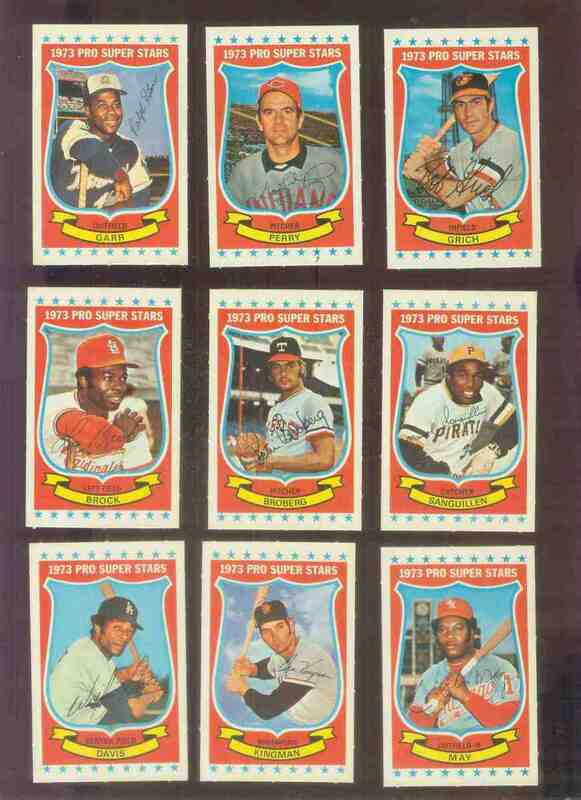 ↑ Lot includes his unique 1972 Topps card where he appears to be giving everyone a one-finger salute. 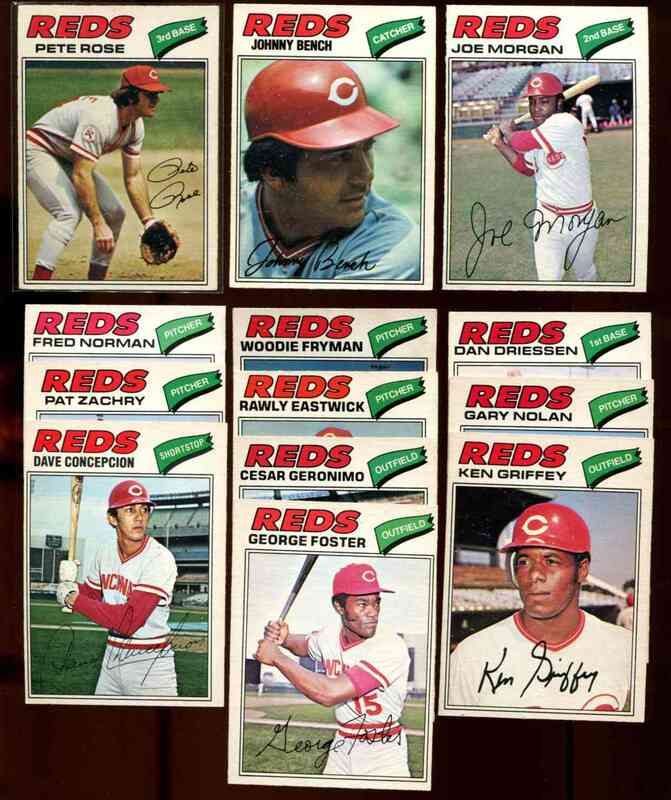 1971(6), 1972(9) plus others. 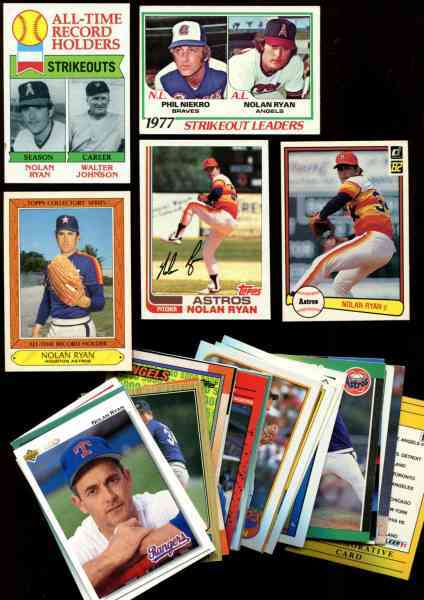 ↑ Topps cards from 1977,1978($12),1979($8) upto 1987 and a few other brands. 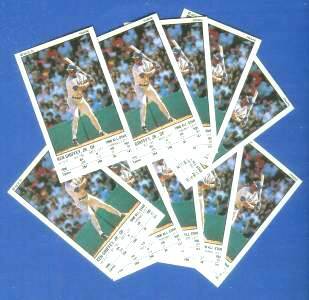 Approx $50 Beckett hi column. ↑ Mostly NM/MINT to EX/MINT. 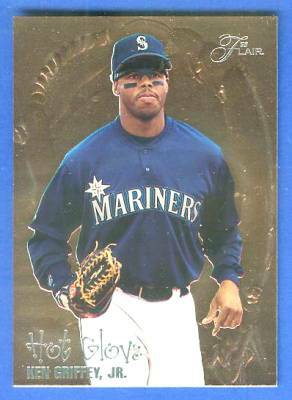 ↑ Beautiful high-gloss insert quality 2nd year Griffey card !!! ↑ Made in Italy ! 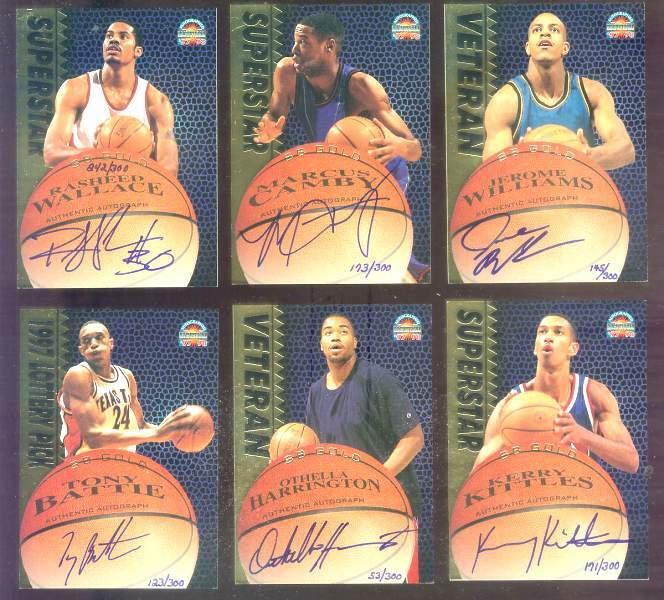 ↑ One of the first ever limited edition special Holographic issue !!! 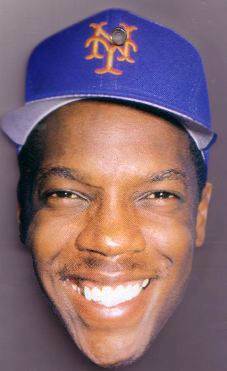 Honors Henderson for breaking the All-Time Stolen Base Record. 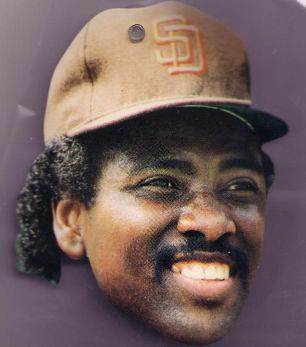 ↑ Card contains a peel away official postage stamp for St. Vincent and the Grenadines Islands ! 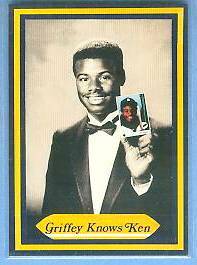 ↑ Front pictures Griffey holding his 1989 UD Rookie, back is a black & white Jose Canseco portrait with facsimile autograph. 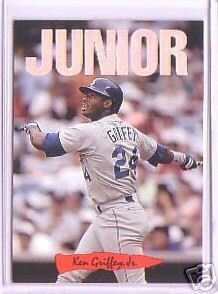 ↑ Surely printed in early 90's yet tries to imply Griffey just left high school. Back: @AAMER SPORT PRTD IN TAIWIAN - they can't spell ! 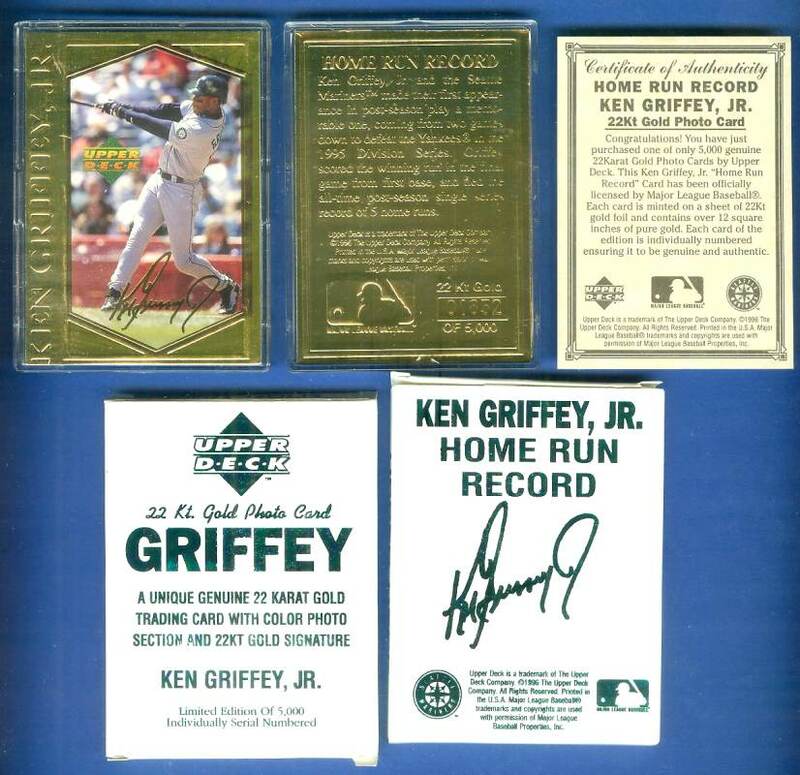 $1.5 1992 Upper Deck Team MVP Holograms #22 Ken Griffey Jr.
$14.95 Ken Griffey Jr - 1991 Bleachers 23 KARAT GOLD 3-card SET !!! ↑ Great item !!! 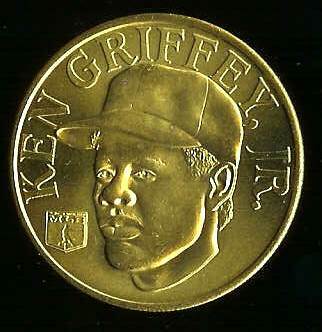 Real 23 Kt GOLD ! 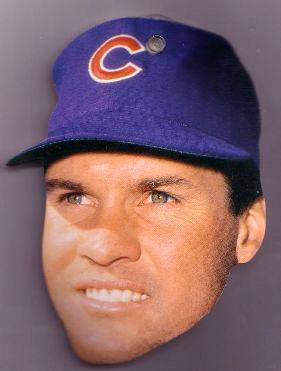 Serially numbered and LIMITED !!! 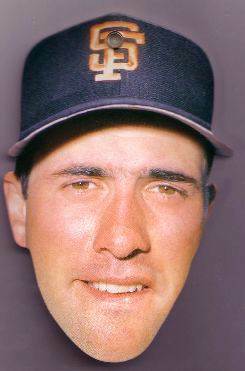 In 3-card screwdown. 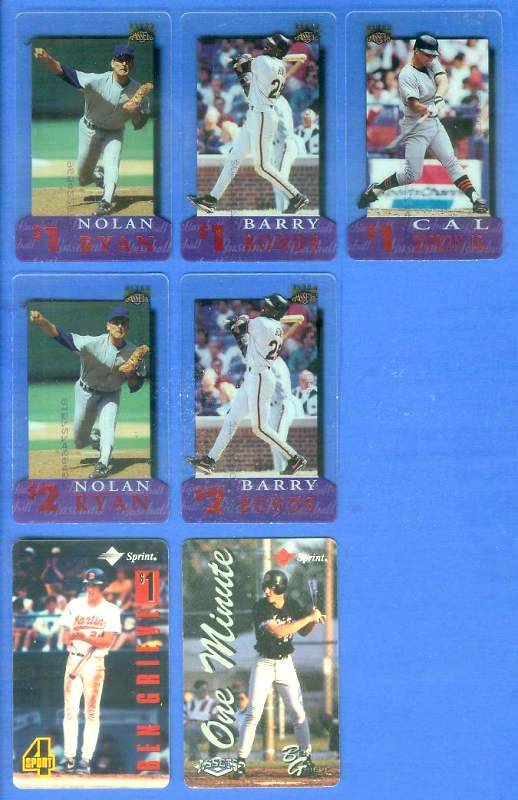 Cards NM/MINT, screwdown is used. 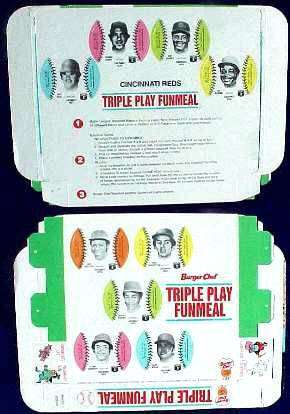 ↑ Fairly tough insert only found in 1993 Leaf 'Triple Play' boxes. 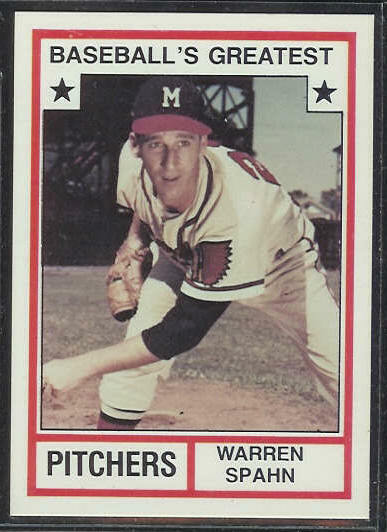 Card highlights the player's nickname with a story about it on back. ↑ Unused NM/MINT card is expired. 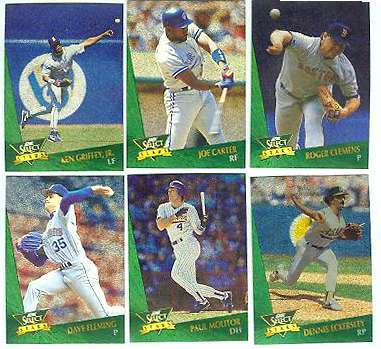 ↑ These cards are scarce and were only distributed by Donruss to selected elementary and middle schools. ↑ Packed with stars !!! 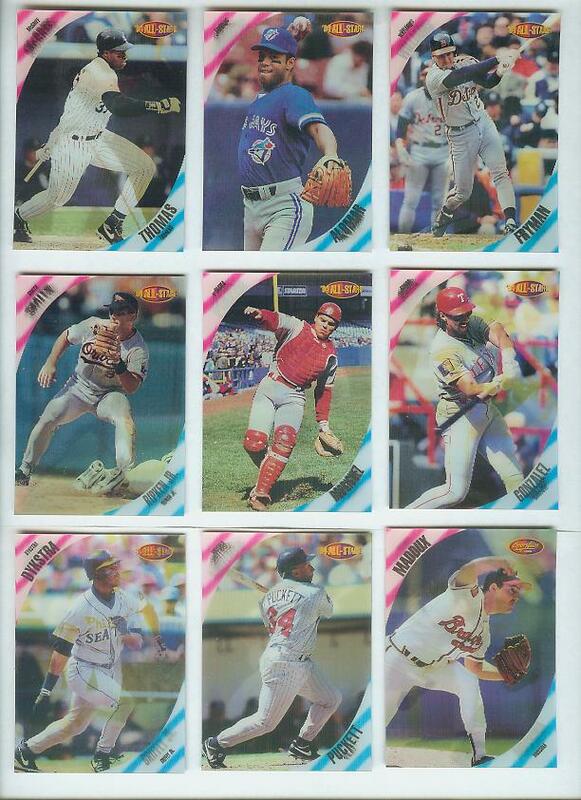 Ken Griffey Jr, Tony Gwynn, Don Mattingly, Kirby Puckett, Ryne Sandberg, Mark McGwire & MORE !!! 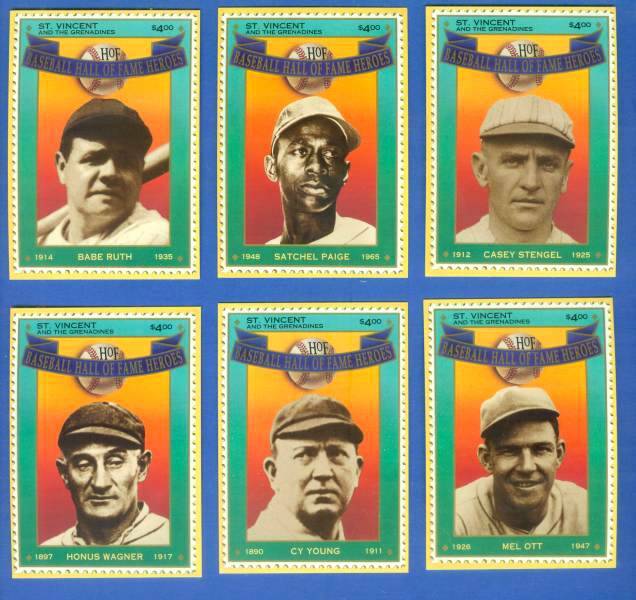 ↑ Neat Topps Test Issue! 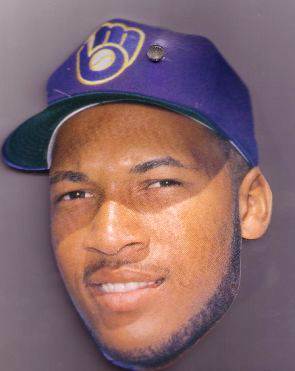 5x6 inch die-cut head on thick cardboard. 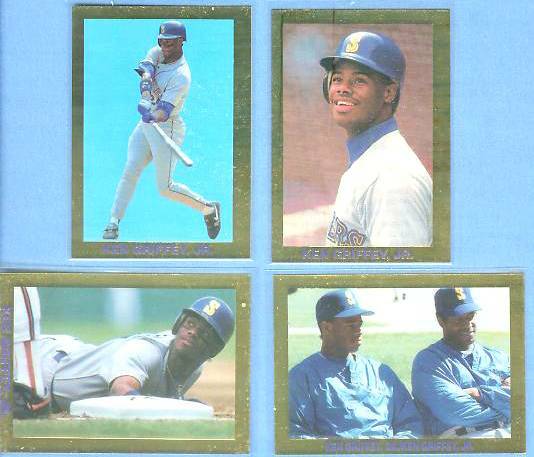 Wrapper pictures Griffey,back is checklist w/pictures of all players. 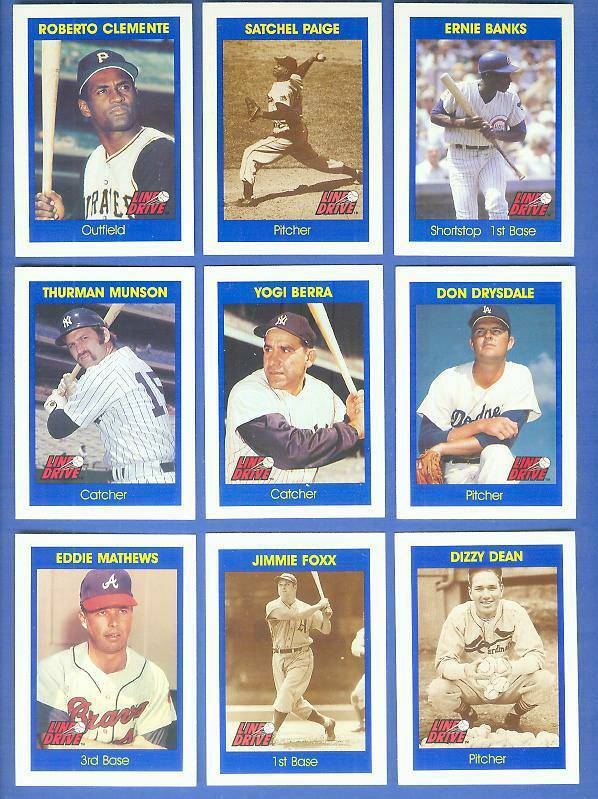 ↑ Mickey Mantle,Mays,Nolan Ryan(2),Griffey,Koufax,Joe DiMaggio,Ted Williams,Griffey,Gwynn,Michael Jordan,Gretzky,Madonna & MORE !!! 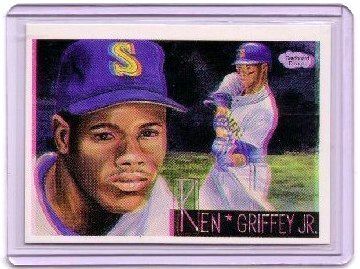 ↑ Neat 'Repli-Card' was an insert in 1990 Baseball Cards magazine. 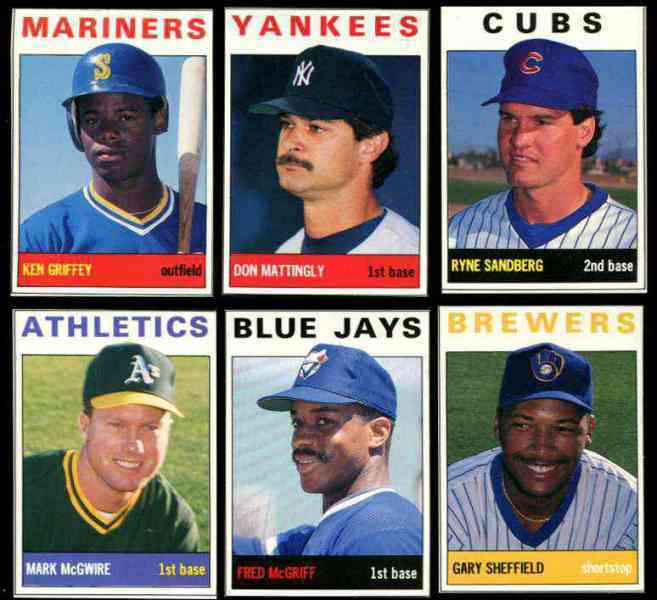 Also w/Sandberg,McGriff & Sheffield. 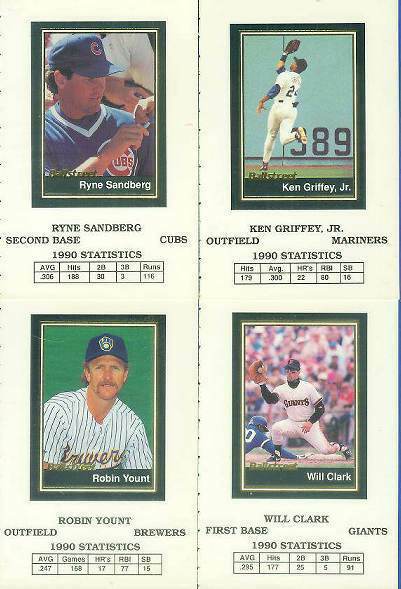 ↑ Neat 'Repli-Card' was an insert in 1990 Baseball Cards magazine. 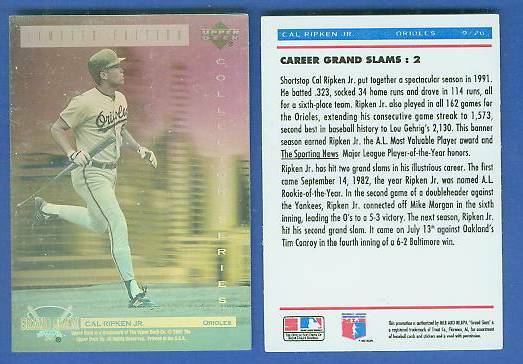 ↑ Gold-Foil bordered 2-sided 1991 Ballstreet card. 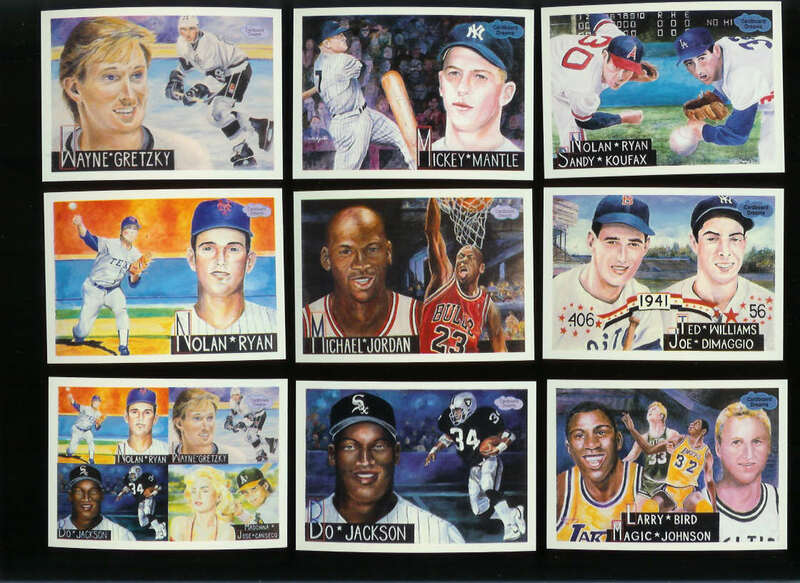 Complete 4 x 6 inch page on card stock. 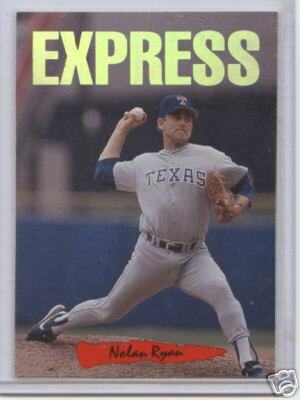 Back discusses RC card, recommends BUY. ↑ WOW!!! 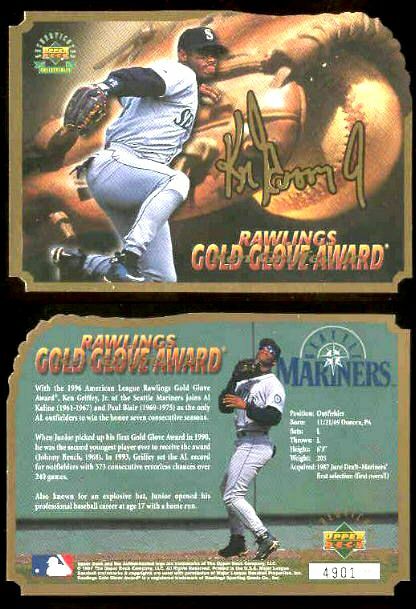 First time in 17 years I've seen these special 2-piece POP-UP cards !!! Images is a sample. 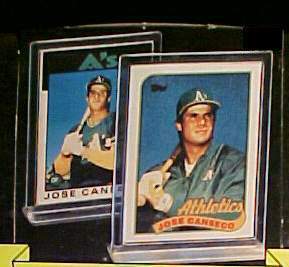 ↑ One of the earliest HOLOGRAPHIC baseball cards. 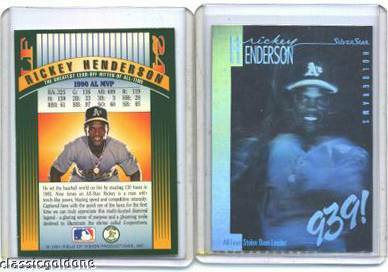 First major was the 1991 Upper Deck Hank Aaron Hologram, then these. ↑ WOW !!! 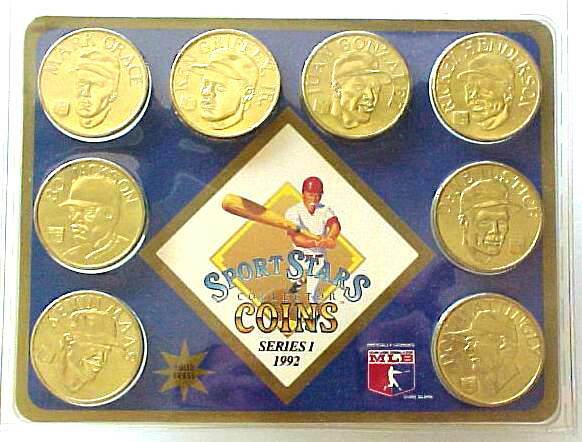 24 coins with Nolan Ryan,Cal Ripken,Barry Bonds,George Brett,Roger Clemens,Frank Thomas,Ken Griffey Jr,Don Mattingly & MORE !!! 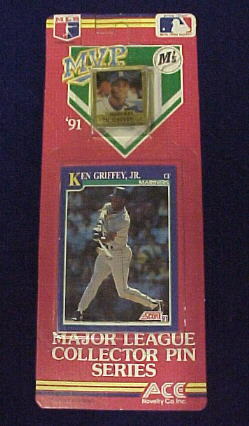 ↑ Mark Grace,KEN GRIFFEY JR,Juan Gonzalez,Rickey Henderson,Bo Jackson,Dave Justice,Maas,Don Mattingly MINT in Factory Sealed Pack !!! ↑ AWESOME solid silver dollar sized bronze coins!!! 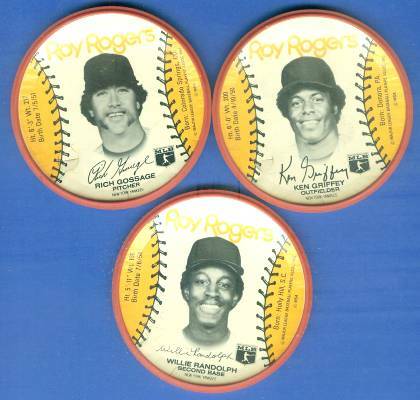 Makes the Pinnacle Mint coins look like nickles ! Plus these are scarcer !!! 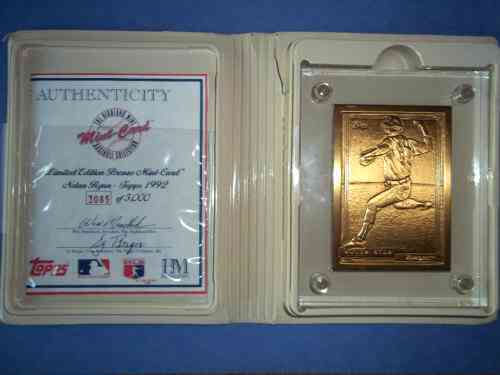 ↑ Very Beautiful & Very Limited with only 5,000 made!!! 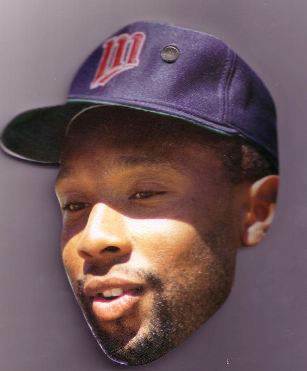 On quality 5x7 card stock w/crisp photo & Gold-Foil stamped. ↑ VERY SCARCE !!! 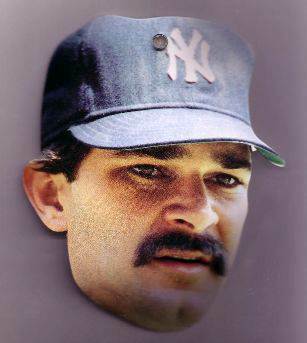 This may be one of only 10 to 50 made !!! 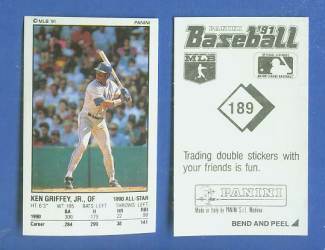 $.5 1990 O-Pee-Chee/OPC #581 Ken Griffey Sr.
↑ This is Griffey's ROOKIE YEAR card !!! 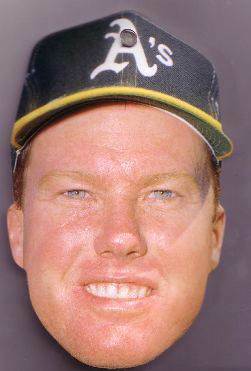 ↑ Mark McGwire,Ken Griffey,Sammy Sosa,Derek Jeter,Jones,Garciaparra,Maddux,Ramirez ... !!! 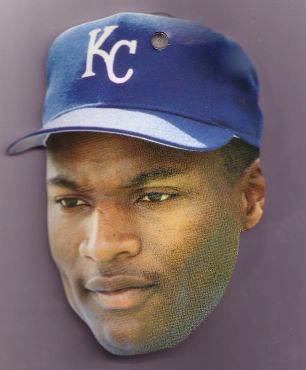 LIMITED TO ONLY 10,000 MADE OF EACH CARD !!! 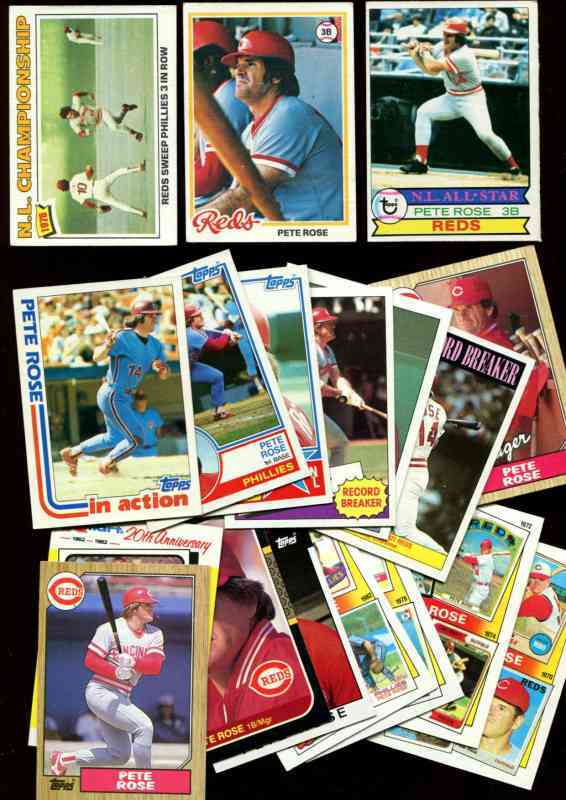 ↑ Great looking and extremely popular die-cut insert and A VERY TOUGH PULL !!! 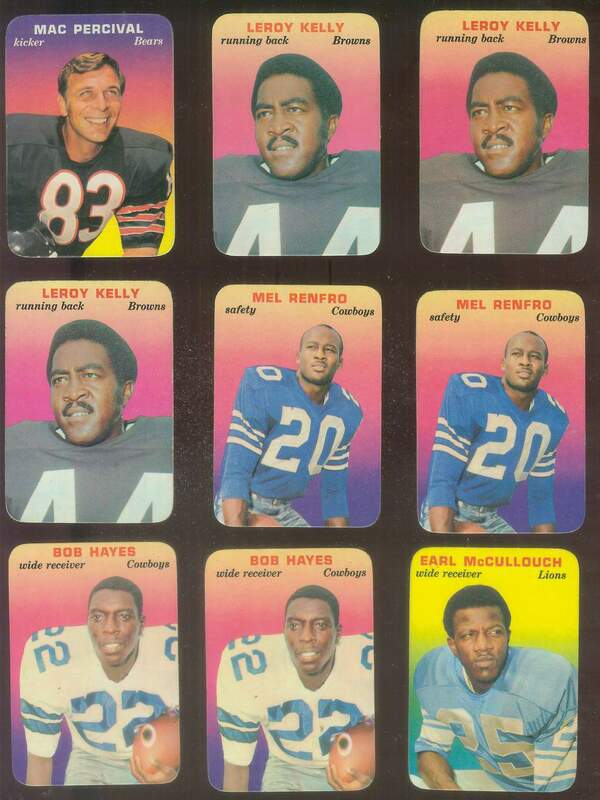 ↑ Popular raised insert ! 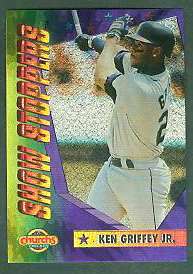 Very tough pull with this card ONLY ONCE IN EVERY 12 BOXES ! 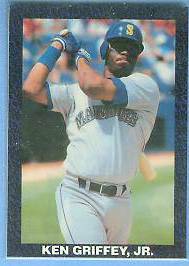 $12 1998 SP Authentic Sheer Dominance Gold #SD 1 Ken Griffey Jr.
↑ Scarce Gold Foil parallel issue individually serially numbered and LIMITED TO ONLY 2000 MADE ! 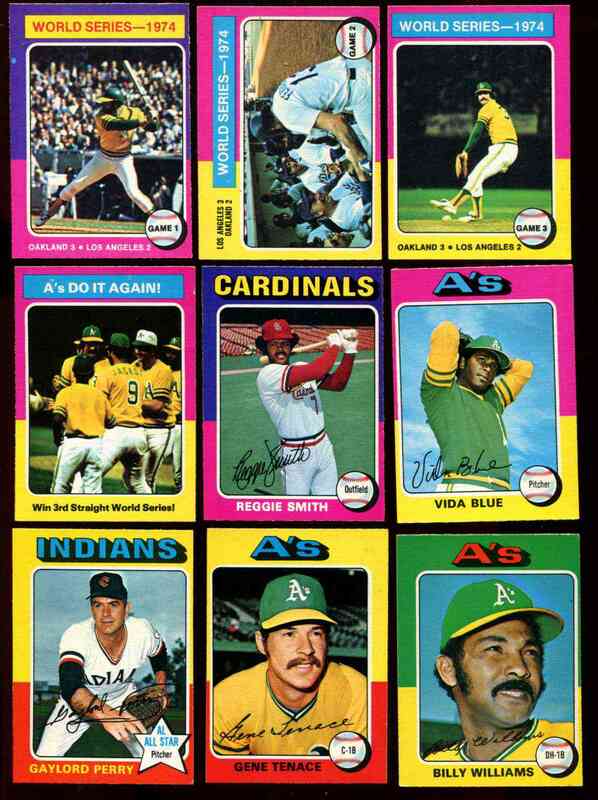 ↑ Beautiful insert made on a clear acrylic card stock !!! 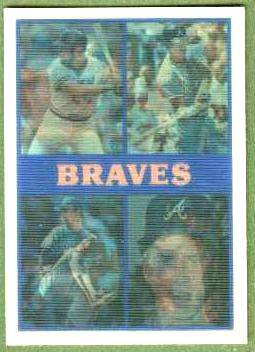 VERY SCARCE with this player showing approx. 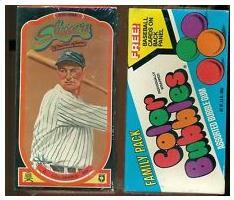 only once every 30 Boxes ! 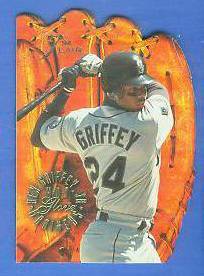 ↑ Beautiful die-cut card honors Griffey's Gold Glove Award ! 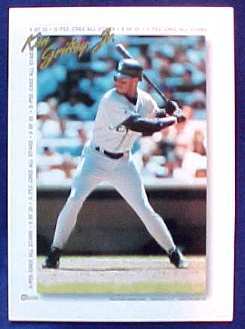 ↑ Nice die-cut card with silver foil borders and facsimile autograph ! 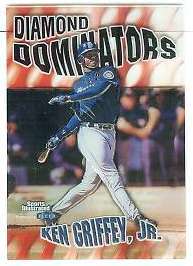 ↑ #30,Griffey's Jersey # pictured on front!! OF ONLY 299 MADE ! 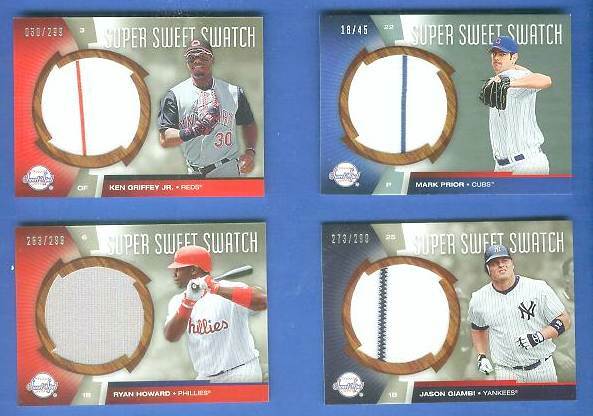 A SUPER SIZED Swatch !!! Plain common serial number goes for $40. 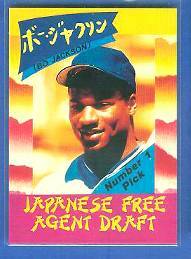 ↑ His FIRST JERSEY CARD !!! 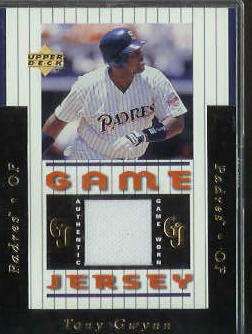 From when it JERSEY cards were RARE !!! 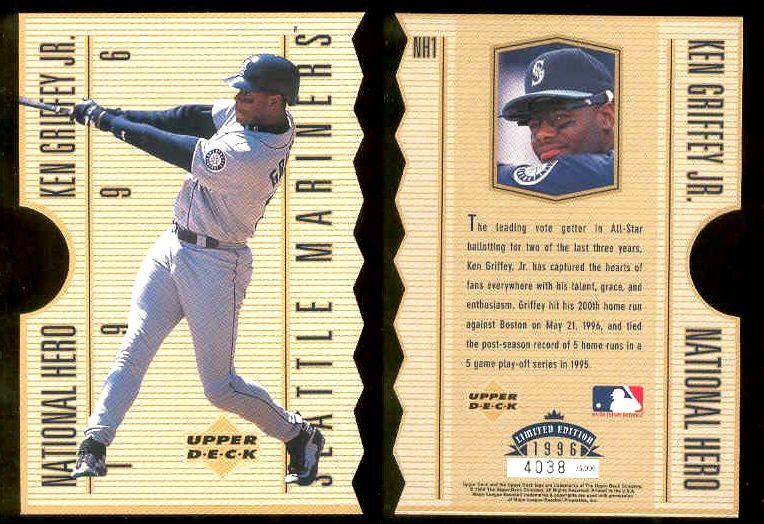 For example, only 2 possible in 1996 - Gwynn & Griffey. 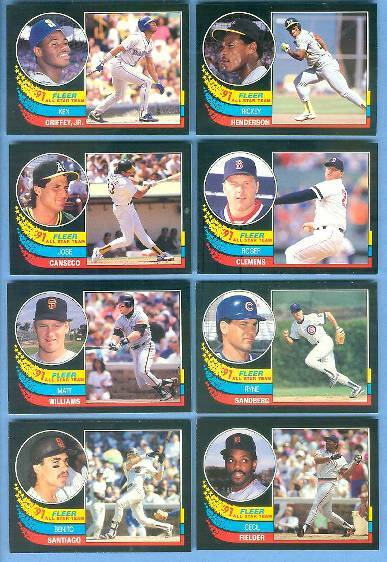 ↑ Goose Gossage, Ken Griffey Sr. & Willie Randolph. 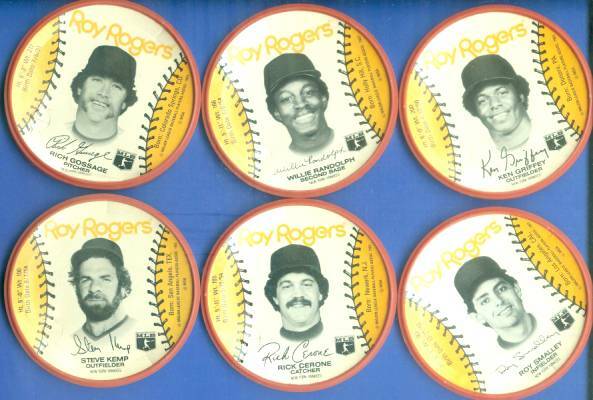 Discs came inside special plastic rims to function as drink coasters. 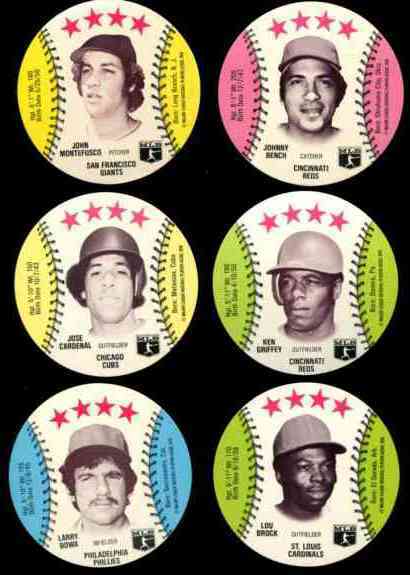 ↑ Disc came inside a special plastic rim to funciton as a drink coaster. ↑ Still in original display rack ! ↑ BEAUTIFUL !!! 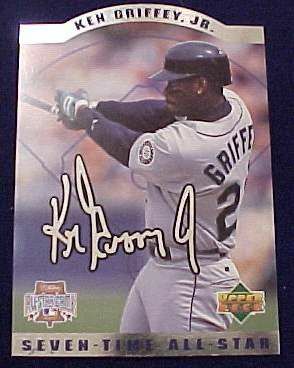 Brand new in box from Upper Deck Authenticated! 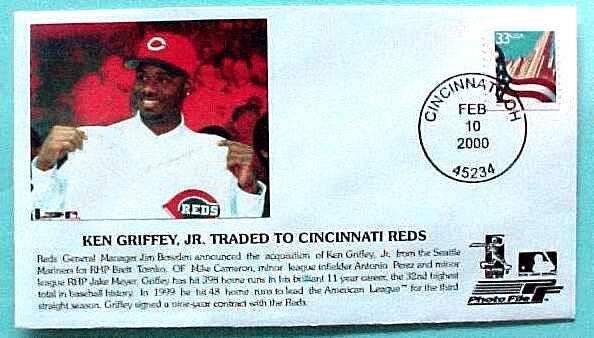 ↑ Postmarked Feb. 10th, 2000 in Cincinnati on day the trade was official making this his first collectible as a Cincinnati Red !!! 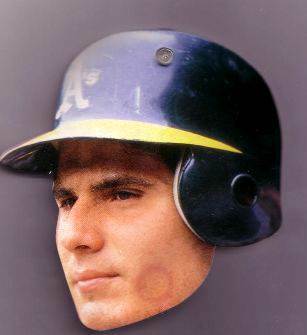 ↑ LIMITED EDITION-w/ONLY 5000 MADE !!! 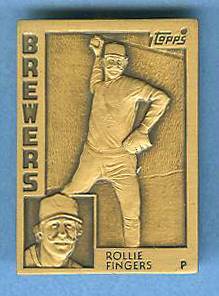 Individually serially numbered SOLID BRONZE card. 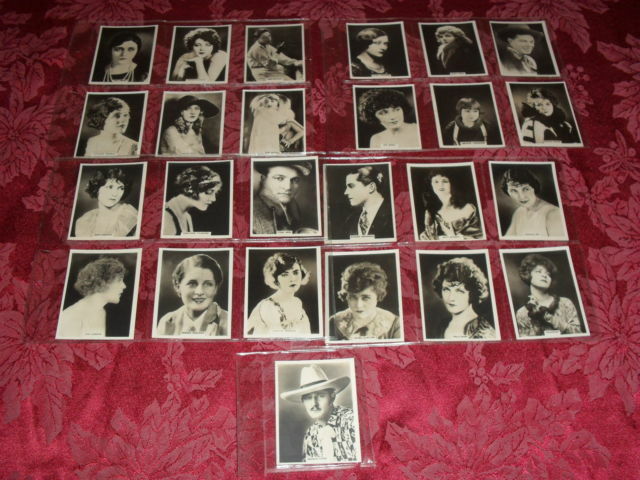 In original case w/#'d COA.